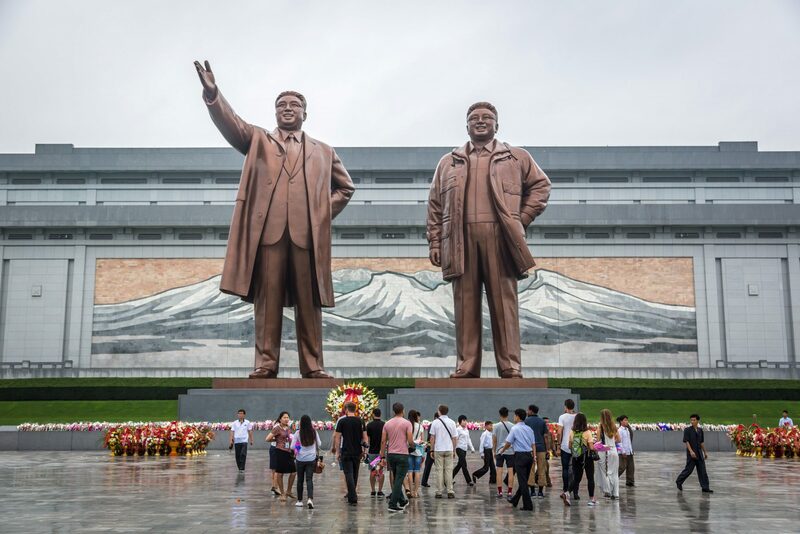 Researchers at Palo Alto Networks recently published a report regarding the NOKKI malware, which has shared code with KONNI and, although not in the report by Palo Alto, KimJongRAT (discovered by Paul Rascagnères of Cisco Talos in 2013), and another report on how there is evidence of the NOKKI malware connecting to the North Korean threat actor known as APT37, Reaper, or Group123. The malicious document related to NOKKI, using VBScript, downloads a newly discovered malware named Final1stspy, due to the PDB string inside. As noted by Palo Alto Networks, Final1stspy comes in 2 components, the EXE named “LoadDll” with the sole purpose of loading up a DLL payload, internally named “hadowexecute.” After collecting information about the infected computer, the end result is that the DOGCALL malware, also known as ROKRAT, is downloaded as the final payload, thus being one of the links between NOKKI and APT37. The DLL payload component under the hash that was listed in the report was not available on VirusTotal. We created some YARA signatures from the code of “LoadDll” and did a hunt via VirusTotal. Since the EXE component shares code with the DLL, the YARA hunt led us to find an earlier version of the DLL component of Final1stspy with 2/67 detections, compilation timestamp of May 21, 2018, and first upload to VirusTotal date of July 11, 2018. This is an earlier version than described in the Palo Alto report. After obtaining the hadowexecute DLL component, we checked to see if there was any code reuse in the Intezer Analyze™ system. 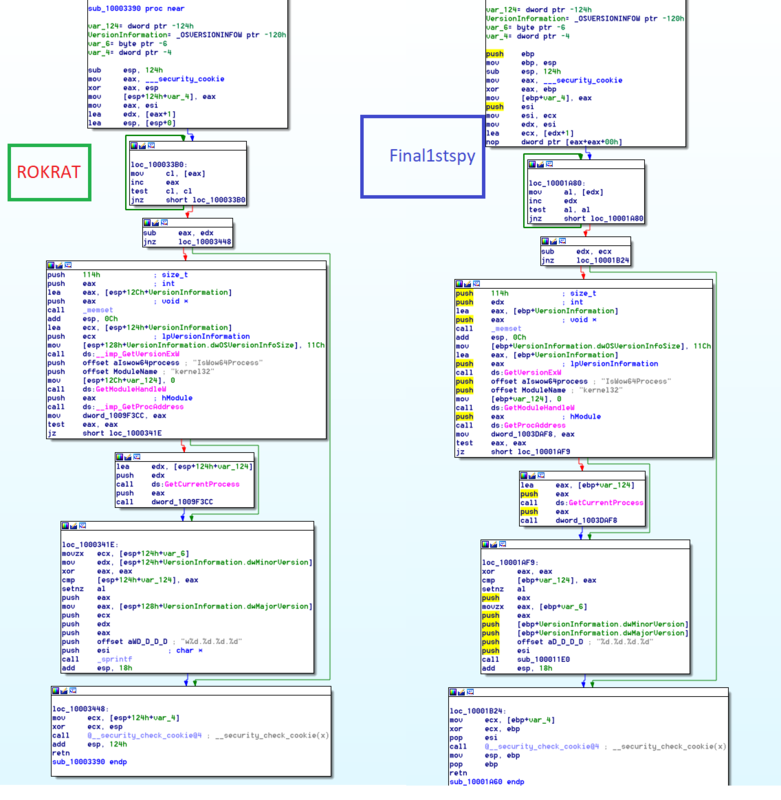 We see that there is some code shared between the EXE component of Final1stspy and other code that has been seen before in the FreeMilk campaign which utilized ROKRAT. Let’s see the shared code between ROKRAT and Final1stspy by doing comparison of these functions in IDA. If you take a look, there is an identical match between them. This function is unique code that has only been seen before in Group123’s ROKRAT and the DLL component of Final1stspy. The identical function gathers information about the operating system and stores it in the same format. The evidence in Group123 being the threat actor involved here does not only lie in the final delivered payload, but in the code itself. This code reuse provides more evidence towards the relationship of KimJongRAT, KONNI, NOKKI, Final1stspy, ROKRAT, and APT37.